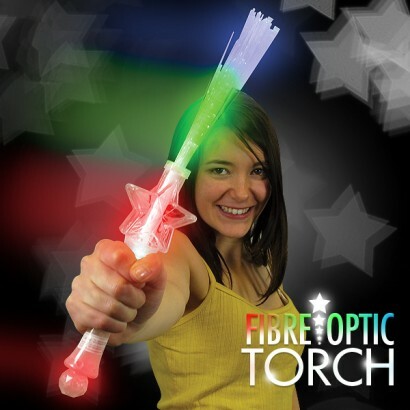 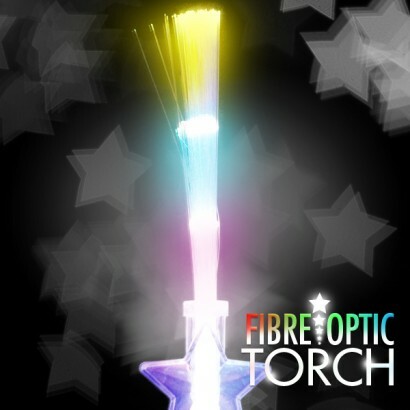 Choc full of colourful multi function LEDs, this fibre optic torch has a clear construction so that you can enjoy maximum effects! 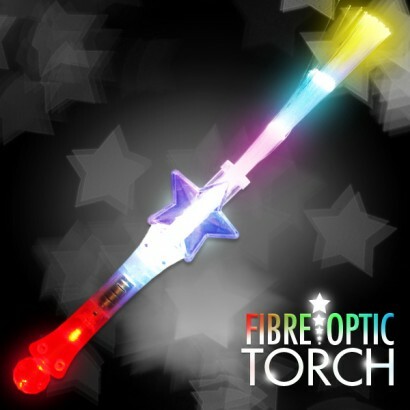 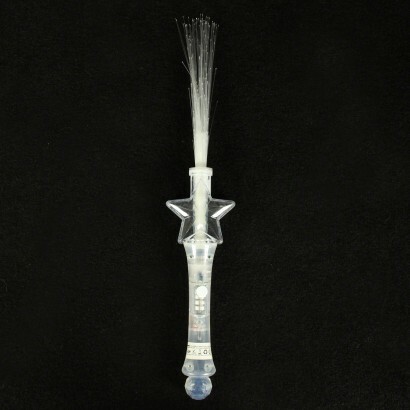 A star in the handle and a spray of colourful fibre optics make this magical wand a must for parties and events shining with six funky effects, and batteries are included so that you're ready to go! 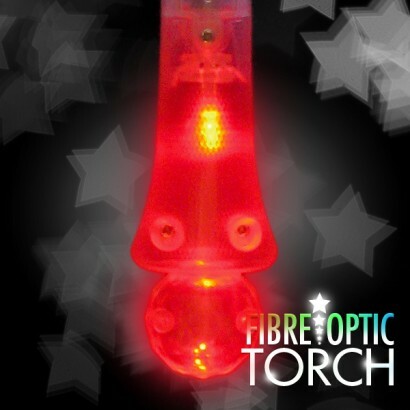 4 x AG13 batteries included - no loading batteries!